Salvatore "Sally Dogs" Lombardi, uncle of Big Ang of VH1 Mob Wives, was low-key capo of the Genovese Crime Family. Even though he held the capo position within the highest profile criminal family in New York, Salvatore Lombardi is not very well known, publicly. He lived in Brooklyn and he and his crew members operated out of the Gravesend section. It's believed that after the death of Frank "Casina" Cucola in 1975, Lombardi inherited the old Ray DeCarlo crew. 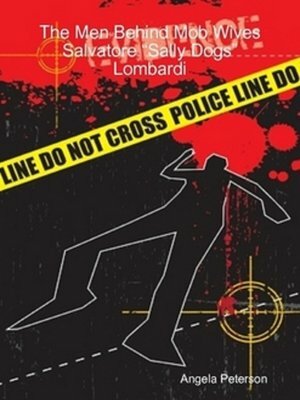 This crew has always had members based in Brooklyn and New Jersey.This is the biography of Salvatore "Sally Dogs" Lombardi. Find out about his his criminal life as a capo in the The Genovese Crime Family. This is the story of one of the men behind VH1 Mob Wives... Salvatore Lombardi, AKA Sally Dogs, the uncle of Angela Raiola AKA Big Ang.